David Victor is strolling up and down a walkway at a steady pace, reciting alternate letters of the alphabet aloud. The 20-foot walkway the 73-year-old is on is embedded with pressure sensors that track every step he takes: his velocity, his cadence, how long his foot remains in the air. The measures pop up on a computer screen here in a laboratory at Albert Einstein College of Medicine. Later, Mr. Victor will repeat the exercises with a device on his head that measures his brain function in real time. Gait, or how people walk, is increasingly viewed as an important indicator of health for elderly people. Changes in gait have been associated with an increased risk for falling and other health outcomes. And researchers have discovered that slowing down or walking more erratically can predict later cognitive impairments, even dementia and Alzheimer's disease, more than a decade before symptoms appear. Roee Holtzer, a professor of neurology at Albert Einstein and Yeshiva University and Joe Verghese, director of the Montefiore Einstein Center for the Aging Brain, are collaborating on several research projects to shed light on the relationship between gait and cognition and how to improve them. The researchers began annually monitoring 600 elderly area residents, including Mr. Victor, starting in 2011. Along with the analysis of their gaits, the seniors receive grip and balance tests, a battery of neuropsych tests and a routine health screening. The researchers also measure changes in the oxygenation levels of the brain, using a functional near-infrared spectroscopy (fNIRS) device that looks like a headband. Participants wear one on their forehead. Doctors connect the device to the electronic walkway and test the patients' gaits. Among their findings: Executive function, which takes place in the brain's frontal lobe and is associated with complex planning, is critical when walking while talking. A study they published earlier this year in the journal Neurology found that the levels of activation in this brain region while walking and talking is good predictor of future falls. "This suggests that there are changes in the brain that show up before clinical signs, like slow gait," Dr. Verghese says. Now the researchers hope to improve gait by improving executive function in a federally funded study testing the effect of a computerized cognitive training program. Three times a week for eight weeks the participants come to Albert Einstein to play computerized brain games for 45 minutes. On a recent day, a computer prompted 84-year-old Pedro Falcon to click a mouse as part of a memory game involving Halloween candy. 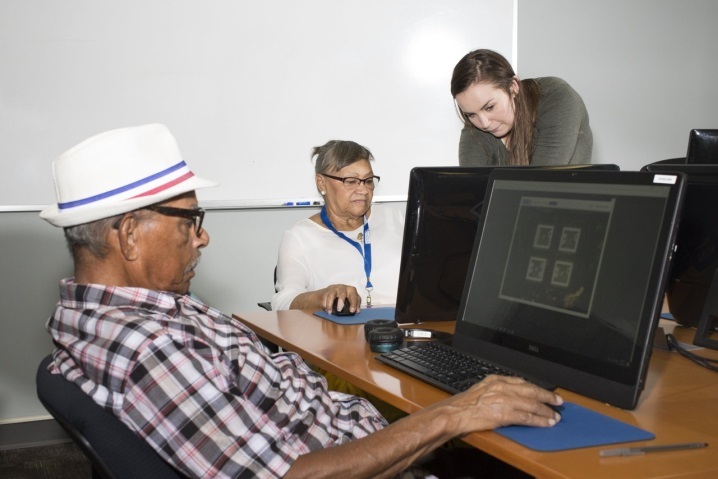 A research assistant helped Natividad Jusino, 80, do a word search on another computer. The researchers have recruited about 120 participants so far. They plan to have 420. About half will be playing brain games by CogniFit, which have been shown to improve executive function. The company—which sells games designed to improve cognitive health—has no affiliation with either researcher and isn't funding any of their studies. The other half will be in a control group that also plays computerized brain games made by CogniFit, but ones the researchers don't believe stimulate the same cognitive processes. 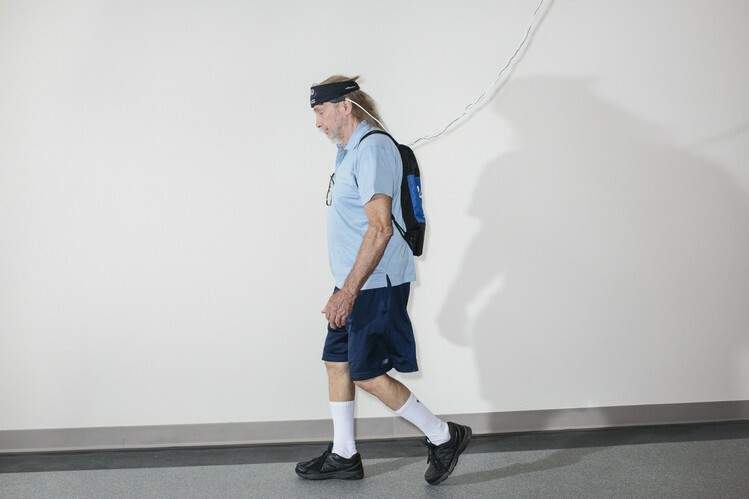 The researchers are taking detailed measures of each participant's gait—both walking and walking while talking—before they start the eight weeks of training. They'll do so again post-intervention, as well as six and 12 months later, to see if any effects are durable. Doctors are also testing their brain activity during the tasks. "One of the issues has been if you train someone to do a memory test, they appear to improve on memory, but not anything else," Dr. Verghese says. That's known as "near transfer." They are hoping to show a far transfer effect, meaning that playing these games won't just improve the cognitive processes they're working on, but their walking as well. A similar 24-person pilot study published in 2010 found that the intervention and control groups showed improvements in walking and walking while talking. But the intervention group showed much greater improvements. The control group didn't play any computer games, so the researchers are trying to control for any impact playing on a computer might have in the current study. Their ultimate goal is to help clinicians identify seniors at risk for dementia and other health risks, such as falls, and to find interventions to improve gait. 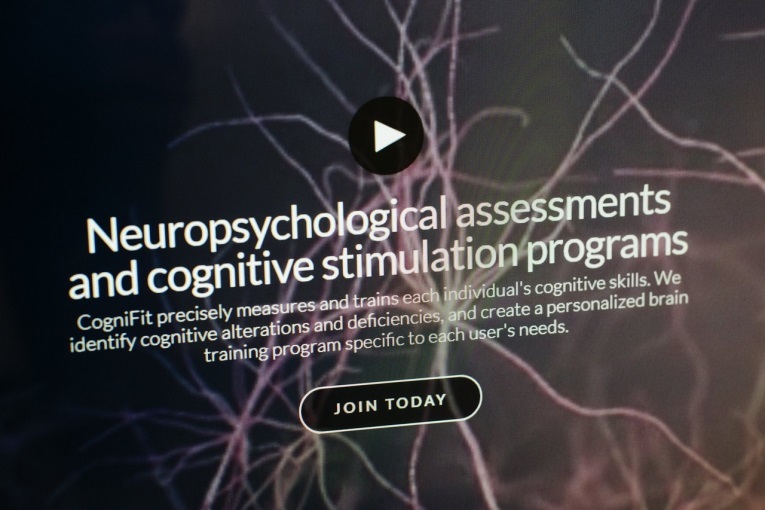 While the computerized cognitive training is the first intervention the doctors are testing, other tests are under way. Another researcher is starting a study in the fall to see whether imagining walking could help improve gait. Previous research has suggested it does. The eight-week pilot study will use a telephone intervention with 40 frail seniors and talk them through a visual imagining exercise where they imagine walking. The study will measure whether their walking speed improves by the end.